The best teen reads, chosen by teachers for teachers! (But if you’re a teenager yourself, don’t be put off. Anyone can buy this brilliant pack.) As part of our mission to make the ultimate book packs for secondary schools, we asked teachers to nominate their top teen reads. Here are some of the favourites those lovely teachers voted for! 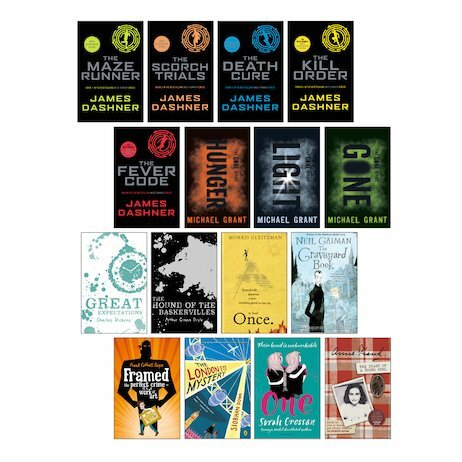 A fantastic selection of the UK’s top picks for ages 11 and up, taken from the overall list of 100 essential teen novels. Perfect for classrooms, libraries and family homes. Heaps of inspiring stories to light up young minds.